Frankfurt Airport Terminal 1 Operations Halted Due To Yet Another Security Lapse Caused By Security Staff – Check Your Flight Status! Just a week after a large scale security lapse in Munich, now Germany’s largest airport in Frankfurt encountered a similar incident today as all operations at Terminal 1 A were halted for several hours following the negligence of a security employee. 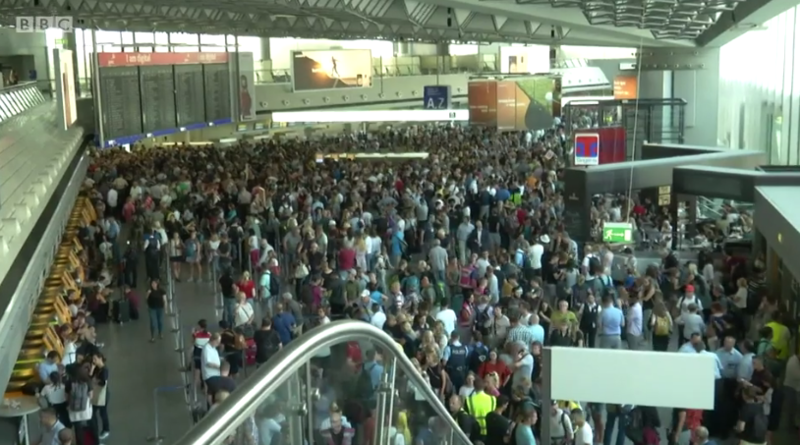 According to the German Federal Police a security screening staff let a family of four pass and get into the general boarding area despite a positive explosives test. According to FRAPORT the airport Terminal 1 section A has been closed down / cleared for 3 hours and as a result 60 flights have been cancelled. 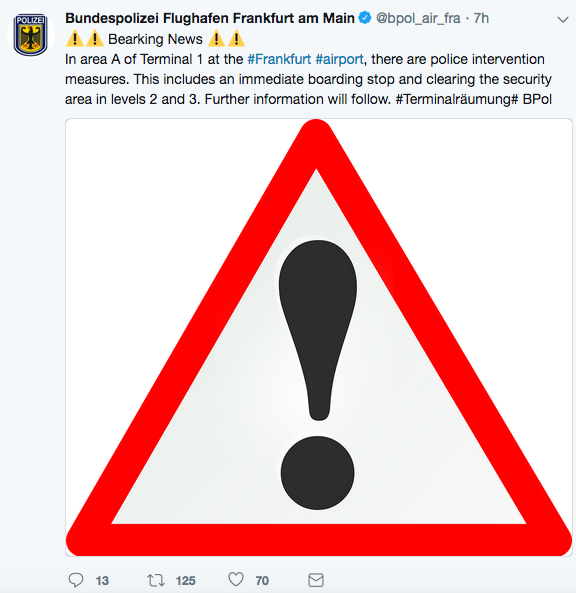 A French family of four passed the security checkpoint without undergoing a special explosives test which was the result of negligence on the part of a security staff member processing the checks for the Federal Police (Bundespolizei) at Frankfurt Airport. Lufthansa (see here) informs customers that delays are likely expected throughout the evening and passengers affected by cancelled flight will be re-accommodated. All terminal areas at Frankfurt Airport are open again. As a result of the two-hour closure, the effects on flight operations are expected to continue into the late evening. Passengers may be affected by delays in some cases, and possibly also cancellations. Affected passengers can of course claim compensation from the operating airline based on EC261/2004, however at this point it will probably depend on how the liability is going to be resolved. I wouldn’t expect the airline to pay out any compensation as they’re likely going to cite force majeure. It’s possible though that Lufthansa and the airport are going after the security company for damages to cover expenses and passenger claims. It doesn’t hurt to put a claim in either way and then see how it progresses over time. This was the worst time possible for such an incident to happen in Germany just a week after the chaos at Munich Airport (we wrote about that here) where a passenger walked right through a closed security lane without being checked, causing a total of 330 flights to be cancelled resulting in Millions of Euro in damages. The public now starts to question the practice of the Federal Police (Bundespolizei) to transfer their constitutional responsibility of conducting the security checks at German airports to private security companies that hire (in many cases) low quality staff without adequate training.